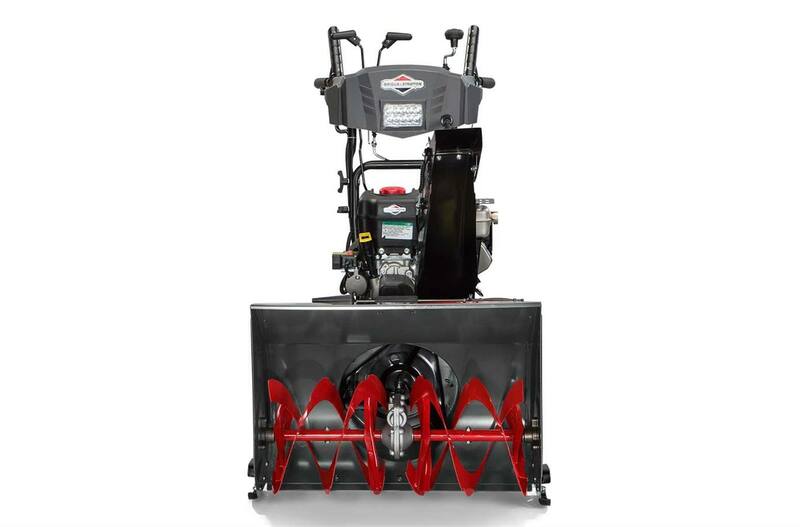 A powerful Briggs & Stratton 1150 Snow Series™ Engine makes the 27" Standard Series two-stage snowblower the perfect fit for moderate to heavy snow on medium driveways and pathways. 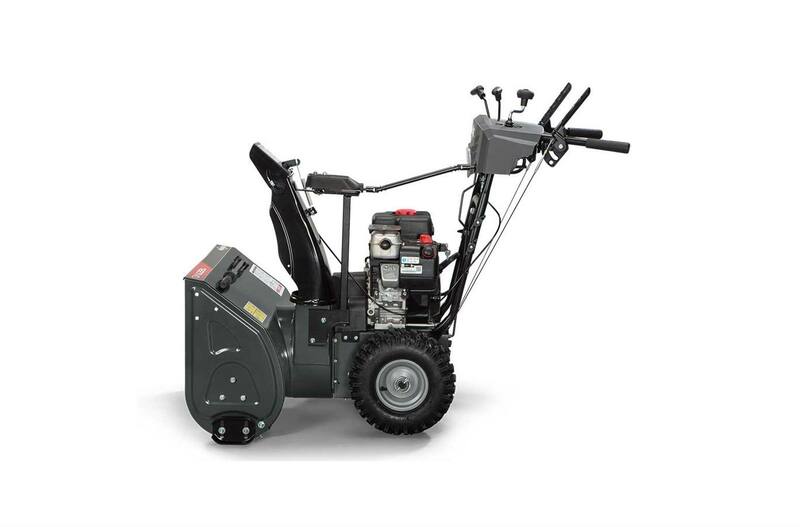 Push Button Electric Start: Push button starting makes for quick and easy starts down to -20°F***. 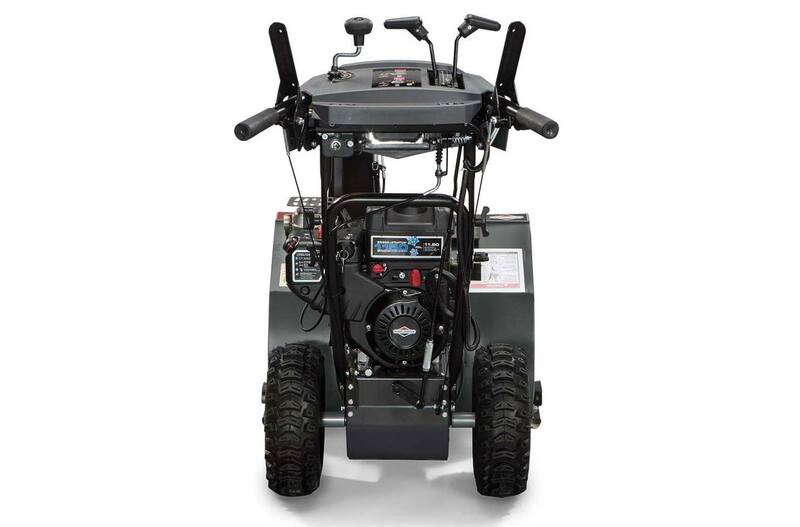 Briggs & Stratton 1150 Snow Series™ Engine: Specially designed to start strong (down to -20°F***) and power through in the toughest winter conditions, this engine offers uncompromised power and displacement to help you get the job done. Plus, oversized controls provide mitten-friendly operation. 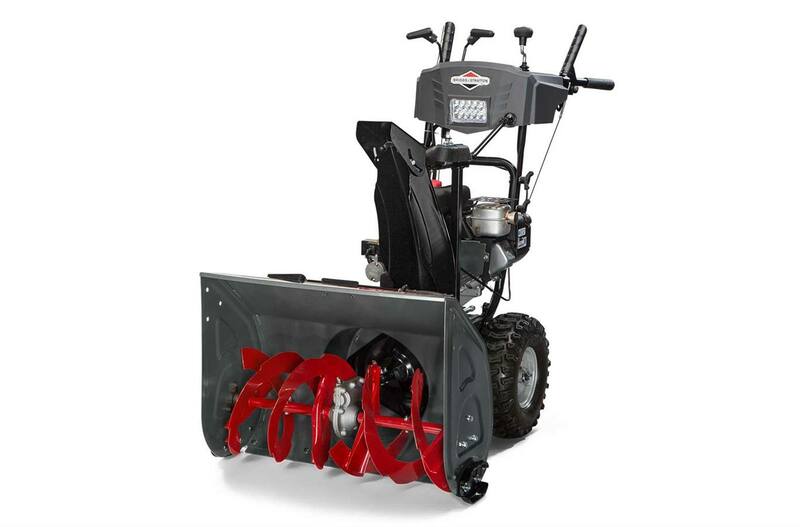 Free Hand™ Control: Free Hand™ Control offers one-handed operation of the snowblower, allowing you a free hand to rotate the chute or adjust the speed. Manual Chute Rotation: Chute rotation control is located on the control panel and easily adjust the direction the snow is thrown from left-to-right. LED Headlight: An LED headlight is integrated into the controls and provides better visibility. 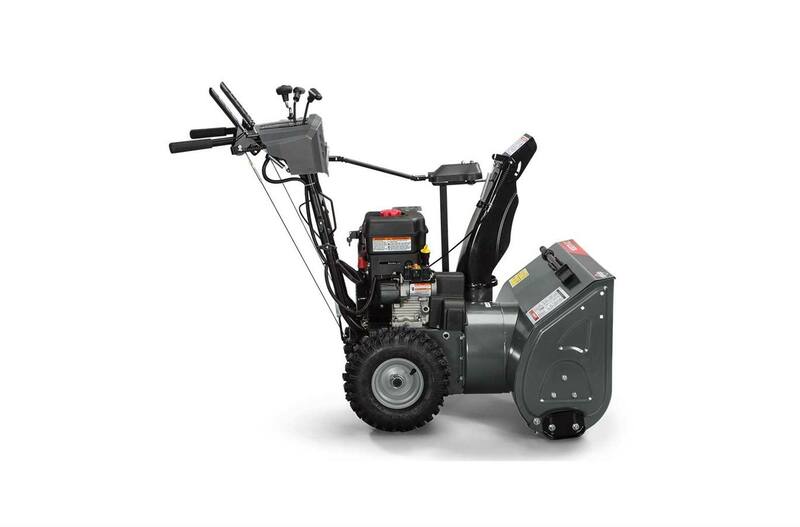 Friction Disc Drive Transmission: This is a self-propelled snowblower with six forward and two reverse speeds. 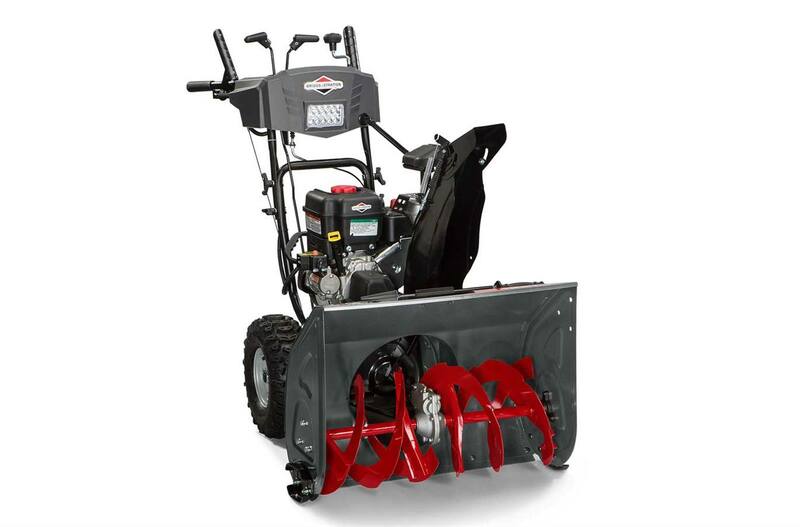 Sturdy Construction: Durable steel frame and chute and notched steel auger can take on snow and ice with ease.